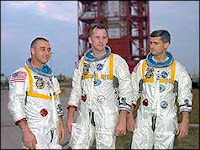 On January 27, 1967 the crew of Apollo 1 died in a command module fire during a practice session. 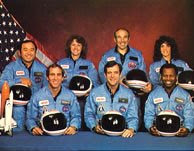 January 28, 1986 The crew of the Space Shuttle Challenger were lost in a explosion within a minute of launch. On January 16, 2003, the crew of the space shuttle Columbia were lost on re-entry over East Texas. Thanks for the reminders of these sad days. I wonder if they still try to launch flights in January. What incredible people they were, to venture out into the complete unknown. 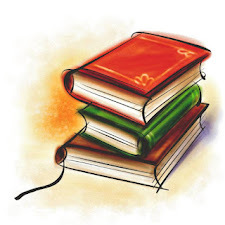 It is so sad to have lost them. Thank you for the reminder; what an inspiration for the whole world. The space program is something that has always captured my imagination. I met Rick Husband once. I was at Wal-Mart when the incident showed up on the TV screens. Shocking. Wow. I know of all these tragedies but hadn't lined them up in the calendar quite so poignantly to see how they were all within a few weeks in different years. Thanks for posting this in their memory. what a nice tribute to those that have lost their lives, in learning and growing for us. That's an eerie sort of synchronicity isn't it? If I were a real conspiracy theorist I'd wonder about this kind of coincidence!